Both the Korean people and revolutionary people around the world remembered and paid tribute to Comrade Kim Jong Il, General Secretary of the Workers’ Party of Korea (WPK) and leader of the Korean revolution, on 17 December, the fifth anniversary of his passing. Comrade Kim Jong Il succeeded to the leadership of the revolution after the founder of the Democratic People’s Republic of Korea (DPRK), Comrade Kim Il Sung passed away in 1994. 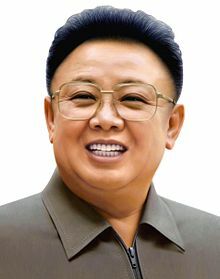 He successfully led the DPRK through a difficult period characterised by economic hardships caused by the collapse of the Soviet Union and the European socialist countries (with whom the DPRK had conducted most of its foreign trade), successive natural disasters and an intensified blockade and sanctions on the part of the US and other imperialist powers. “Comrade Kim Jong Il was not only the outstanding leader of the Korean people but also a senior leader of the international communist movement and of the global struggle against imperialism. • He led the people of the DPRK during the ‘Arduous March’, when the destiny of the revolution lay in the balance, preserving the independence of the country, as well as its socialist character, at a most difficult time. • He worked tirelessly for national reconciliation and reunification under the banner of ‘by our nation itself’. • He safeguarded and enhanced the security and sovereignty of the country against imperialism by developing the DPRK’s independent nuclear deterrent. • He preserved and reinvigorated the DPRK’s traditional friendly relations with China and Russia.